Get 50% off your entire package and 10% off your Pamper Spa Party! "A fun and new pampering concept for your bridal shower, bachelorette party, girls night out and all other special occasions." 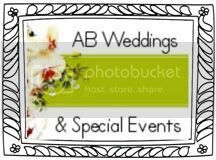 AB Weddings & Special Events makes every event memorable and special. They will work within your budget and customize any event to meet your needs. AB Weddings with Jewels by Anita will be hosting Holiday Bazaar! PRICE: RSVP to arsineh@abspecialevents.com or mistypr@gmail.com and the event is FREE! If not, $10 at the door. Tell your friends to come and shop! There will be appetizers, drinks, and goodie bags. Please come and see what the Vendors have to offer for the Holidays and do your shopping early. There will be Red Carpet/Media/Celebrities and of course goodie bags!